The Train Communication Network (TCN) is a hierarchical combination of two fieldbus systems for digital operation of trains. It consists of the Multifunction Vehicle Bus (MVB) inside each coach and the Wire Train Bus (WTB) to connect the MVB parts with the train control system. 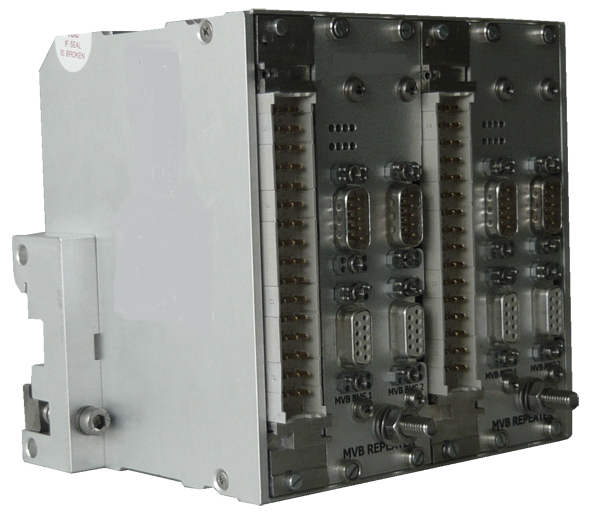 The TCN components have been standardized in IEC 61375. 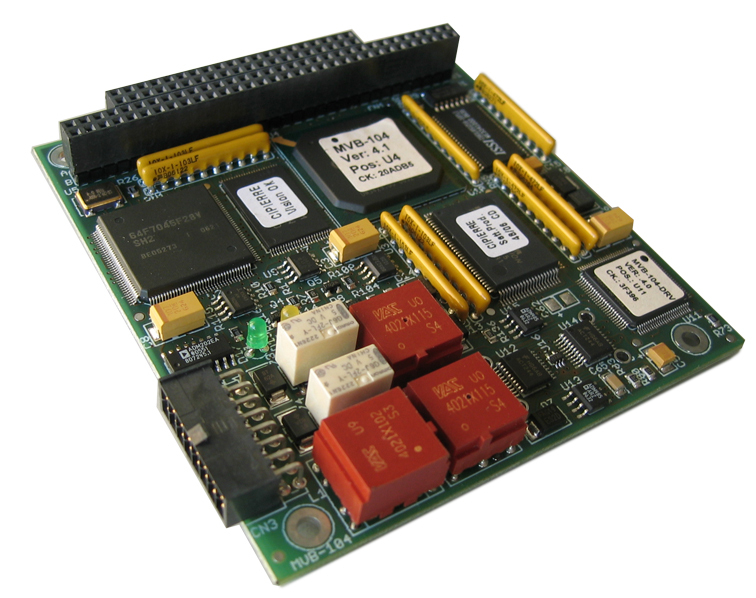 An innovative approach to the MVB communication, an MVB small sized Board with the EMD/ESD physical interfaces, it includes all the MVB features and resources and allows to reduce costs and the system overall dimensions. Multifunctional tester for the MVB Bus. Coupled to a suitable application program, can make a continuous monitoring of the ‘Process data’ circulating on the MVB Bus or can make systematic recording (‘logging’) of ‘telegrams’ and events. MVB-TESTER can be interfaced to the host computer through two ‘COM’ ports for the data and command exchange and one more ‘COM’ port, sharable with one of the two previous, for the configuration and the installation of the MVB database. MVB Logger is powerful product for the logging and recording of any possible information available on one or two MVB Busses. The information captured can be stored in the Solid State Disk inside the device (up to 30 GB) or can be transmitted over a Ethernet network or over a 3G/4G Mobile network. MVB Logger supports up two MVB Busses and, optionally, one CAN Bus. Using our configuration tool (MVB Logger Configurator), it is possible to define the acquisition criteria at different levels and complexity. The flexibility and the power of the product allow to satisfy any needs, from the debug of a MVB infrastructure to the debug of complex applications, ending to the pro-active monitoring of the devices on the train. MVB Logger Configurator allows to activate simple captures of single low level events (ports, telegrams, errors), as well as the generation of complex events associated to complex actions. MVB Logger is a compact and low power device. The installation can be done anywhere in the vehicle thanks to the small dimension and the DIN Rail supports: alternatively, a front side fixing support is also available. MVB Logger is equipped with an ‘Universal’ Power Supply exceeding the EN50155 requirements for all Battery voltage ranges. 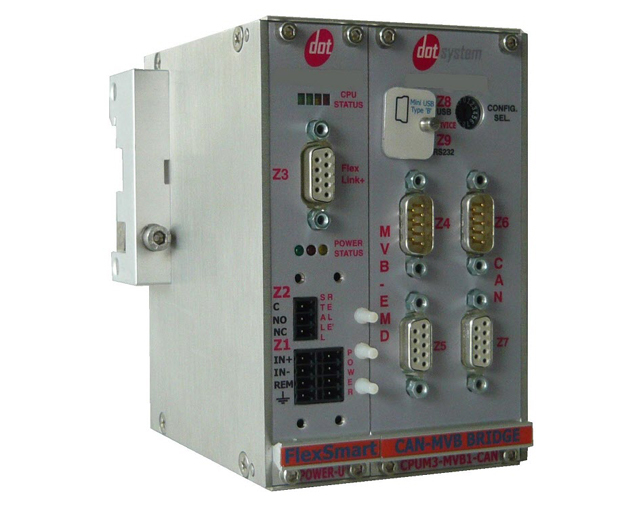 CAN to MVB bridge is a device which performs the bridge functionality between two different field buses: MVB (‘EMD’, ‘ESD’ or ‘OGF’) and CAN. The device works like a virtual wire between the buses, hiding to the system the structural differences between them. ‘Universal’ Power Supply exceeding the EN50155 requirements for all Battery voltage ranges. 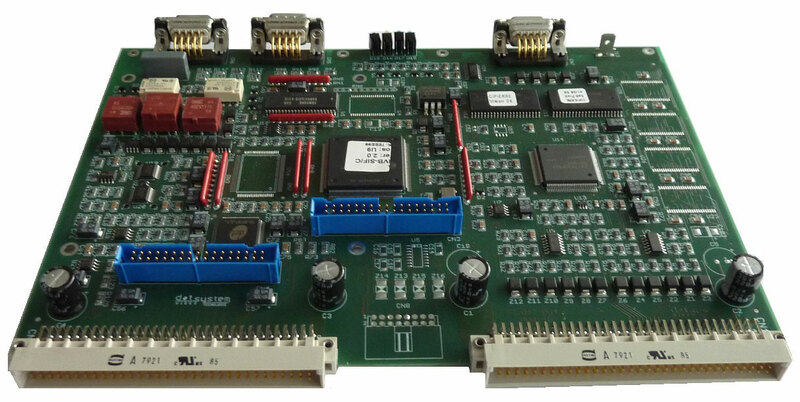 MVB interface boards with different host side communication ports (parallel memory ‘like’, ISA, PCI, VME, serial Uart with RS422 interface, custom), different form factors and EMD or ESD+MVB physical layer. The MVB-EMD physical layer implements our HLp Driver and, for some boards, our AdR advanced Receiver. 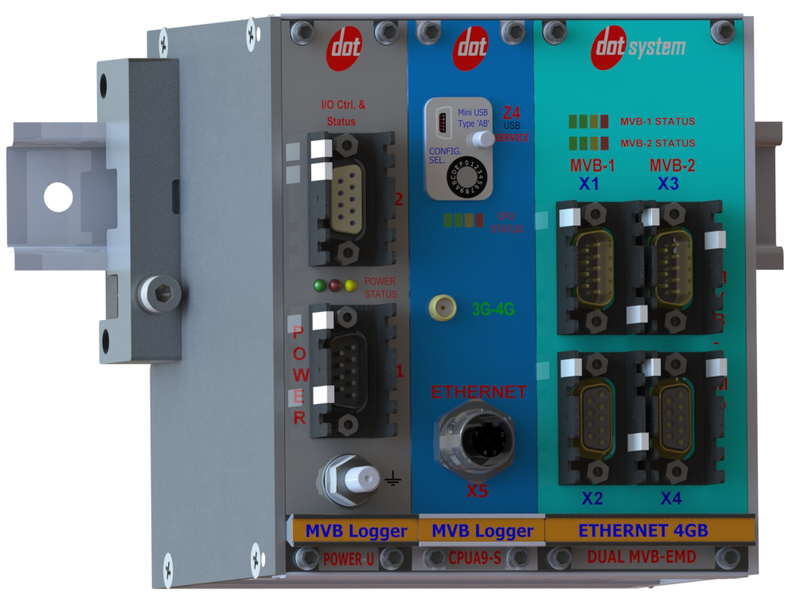 Dot System produces different MVB ‘gateway’ board with the ‘EMD’ physical interface.